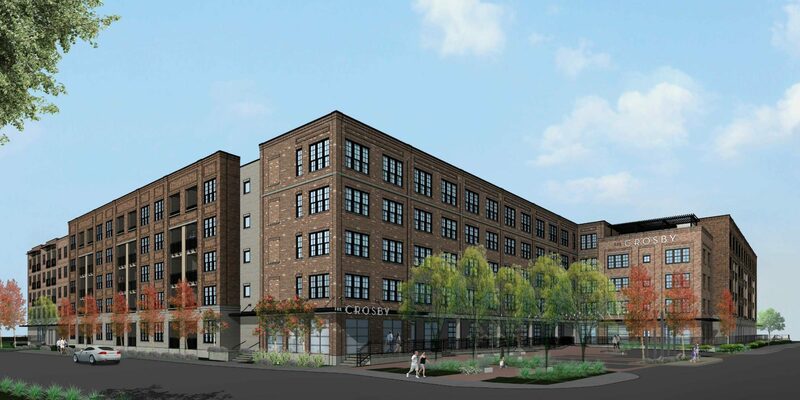 The Crosby is a new 336-unit apartment complex located at 400 South Hall Street in the resurging Deep Ellum neighborhood. The property will offer an extravagant set of community amenities, including a first of its kind co-working space with indoor and outdoor areas, a rooftop skylounge, pool, state-of-the-art fitness center, dog park, bike storage and dramatic views of the Dallas CBD. Completion scheduled for 2019.